I had the “opportunity” today to do my civic duty by participating in jury duty. I got to sit in a large room full of strangers all annoyed to be there and then get sent home. Don’t get me wrong, I was more than just a little happy to get to go, I just wish it had been a few hours earlier. But I do feel super grateful to have great people around me to help take care of my kids. It was a crazy morning for sure. It was early and a little stressful trying to get everyone ready and out the door an hour before we normally have to leave to go to school. The point of my story is that instead of being at home cooking I was detained. So, this is something that I have really wanted to post because it is really good, but I have to admit the photo is not the greatest. But don’t judge a book by its cover, right? I promise homemade lemon curd is amazing. I am a big fan of citrus and so it is hard to go wrong here. 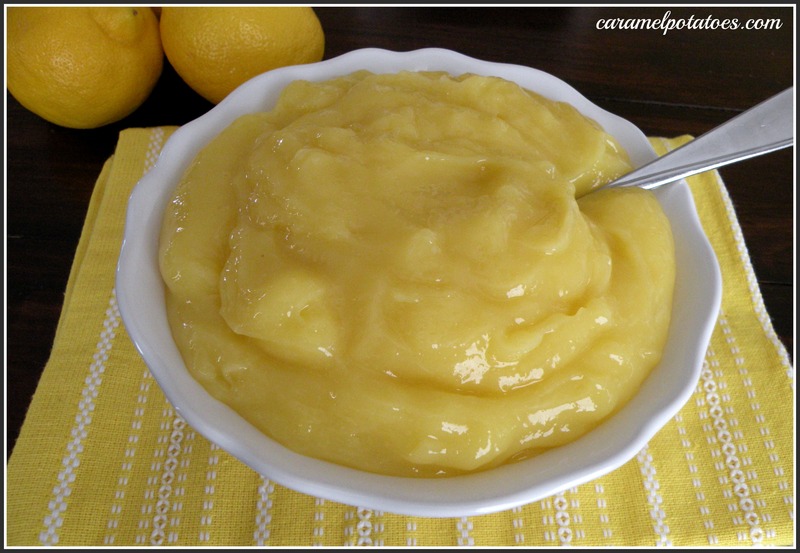 If you have never had Lemon Curd before think of it as a custard, but with a smoother texture and a much more intense and richer flavor. Lemon Curd can be eaten on its own or as a cake filling, in a tart with some fresh fruit (I have a tasty one to share with you later), on waffles or pancakes and the list goes on. I am always looking for new excuses to make Lemon Curd. In a large bowl, beat the butter and sugar with an electric mixer, about 2 min. Slowly add the eggs and yolks. Beat for 1 min. Mix in the lemon juice. The mixture will look curdled, but it will smooth out as it cooks. Sounds delicious! I love lemon curd. Thanks!